My organization has investment savvy individuals on its staff and/or on our Board. What can Concord really offer us? Aren't all investment consultants pretty much the same? Wouldn't a larger firm have greater resources to offer? How does Concord get paid? Why pay for consulting services in hard dollars, when I can use the managers' trades (soft dollars) to pay for them? What if the trades are being run through the consultant’s broker dealer? Isn’t this the most efficient way to pay for a consultant? Is it possible for consultants to receive other types of payments or compensation from managers? Why does Concord do so much work in the area of investment cost analysis? Isn’t ''net'' performance the most important figure? If I pay less, don’t I get less? My organization negotiates fees. What more can be done? How will the proposed DOL Fiduciary rule effect Concord’s service delivery? My organization has investment savvy individuals on its staff and/or on our Board. What can Concord really offer us? Most of Concord's clients have sophisticated investment people associated with their organization. Concord’s role is one of support, not replacement. Typically, it is the savvy people who find the greatest value in our services. They realize they need client-specific, accurate, and objective information to make effective decisions regarding their organization’s assets. Are the consultant's interests aligned with yours? Many times, consultants derive revenues from other sources that run contradictory to your interests. Do you have direct and consistent access to consulting expertise? The effectiveness of your consultant is directly proportionate to the amount of experience and expertise the consultant has in dealing with clients like you. If you have a representative or consultant with limited experience attending your meetings, then there is a good chance that your questions are not getting good answers. If you are not getting direct access and a fast response to inquiries from a dedicated team that is familiar with your operations, then you are not operating efficiently. Where do you fit (in terms of size and client type) in relation to the consultant's other clients? Rather than providing customized services to all clients, many consulting firms will impose investment styles and structures across clients, suggesting that the client is ''getting access'' to something special. In reality you may be getting inappropriate advice. Possibly, but not likely. Consulting services represent a relatively low margin business in the financial services industry. Areas such as asset management and investment banking are much more lucrative. As such, consulting divisions of larger multi-service firms do not typically receive large allocations of resources. Additionally, knowledge and expertise are the most valued resources in the consulting business. Typically, the people who possess this expertise tend to reside at specialty firms where their compensation and equity participation is usually higher. Concord receives 100% of its revenues from clients, eliminating the conflicts of interest that are rampant in the industry. Our fees are determined based on three factors, desired services, size of client assets, and the complexity of the client’s investment structure. Because we are so focused on clients’ operating efficiency, and our fees are set comparatively low, we typically offset our fees by gaining pricing efficiencies elsewhere in the clients' structure. First of all, it is all your money. They are not the ''managers' trades'', they are yours. The commissions are being charged to your account. All that is being done is that the trades are being marked up, and the excess is paying for consulting services. Though your consultant may say the trades are not being marked up, you must ask yourself, from where is the consultant’s share coming? Obviously, the charge to transact the trade is less than the total amount charged, or there would be nothing left to pay your consultant. What if the trades are being run through the consultant’s broker dealer? Isn’t this the most efficient way to work with a consultant? It may seem more efficient to contact one vendor, problematic however, is the ability of a consultant to receive “compensation” from managers (in the form of transactions) via an in-house or subsidiary broker-dealer. Therefore, there is no way for you to know who is paying your consultant. If I am paying a consultant to advise me regarding the suitability of managers, I certainly do not want those managers, or any managers, paying my consultant. This type of conflict, within a consulting relationship, should be avoided. Absolutely. This compensation typically comes in the form of payments for analytical work, performance comparisons, marketing consulting, or client symposiums. Many times these are significant revenues sources for consultants. This should be a major concern for a client. First and foremost, a consultant’s role is to represent the interests of the client. Such representation is impossible with contradictory revenue sources. That is why Concord has a strict corporate policy to receive 100% of revenues from clients. Concord has no sources of conflict. We work for our clients, nobody else. Net performance is typically the most important number. However, the lower your fees, the higher your net. In periods when the markets are not appreciating at double-digit rates, low fees can be vitally important in achieving your investment goals. This is not to say that exceptional service providers are not entitled to premium fees. Concord spends a great deal of resources to create comparative fee universes, in which vendors are evaluated on both performance and costs. Contrary to traditional beliefs, the financial services industry is typically one in which the less you pay, the more you get. Negotiating fees is somewhat effective. However, it takes a large database of information to know whether your end result is truly competitive. Concord runs extensive comparisons using multiple parameters such as size, style, etc. and our database contains fee arrangements being charged to other clients by the same vendor. Additionally, the increased use of passive and factor-based strategies have changed the pricing dynamics of the industry. It’s one thing to ask for a discount, it’s another thing to know what the level of pricing should be. This new Fiduciary Rule, whenever enforcement does occur, does not change Concord’s investment advisor role. Since our founding in 1988 Concord has been a co-fiduciary with our clients. 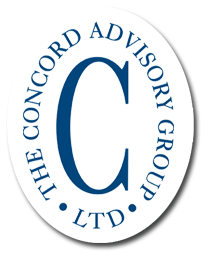 As a registered investment advisor Concord is subject to the ERISA section 3(21)(A) which states that a person is a fiduciary with respect to an employee benefit plan when they render investment advice for a fee or other compensation, direct or indirect, with respect to any moneys or other property of such plan. The new Fiduciary Rule was created to require broker/dealers that were previously operating under the “suitability” rule to state that they are fiduciaries if they are providing advice to retirement plans. It is important to note that the proposed DOL Fiduciary rule only applies to retirement plan assets. Concord assists our clients in meeting their fiduciary responsibilities, for the entire investment program, by creating an annual work plan for each client. The plans are customized for each client and consultants report on the various components in quarterly reports and during onsite meetings.